Fire resistant glass has become more and more prominent in modern construction due to increases in legislation from international bodies such as the International Building Code (IBC). Bodies like the IBC require that buildings conform to certain safety standards. The use of fire resistant glass has also increased due to the number of buildings implementing glass designs in their construction and the need to protect these buildings from fire. The increased demand for this product has also led to an increase in questions about fire resistant glass. We’ve put together some answers to the most frequently asked questions to help you better understand the purpose of fire resistant glass. 1. When is fire resistant glass used? 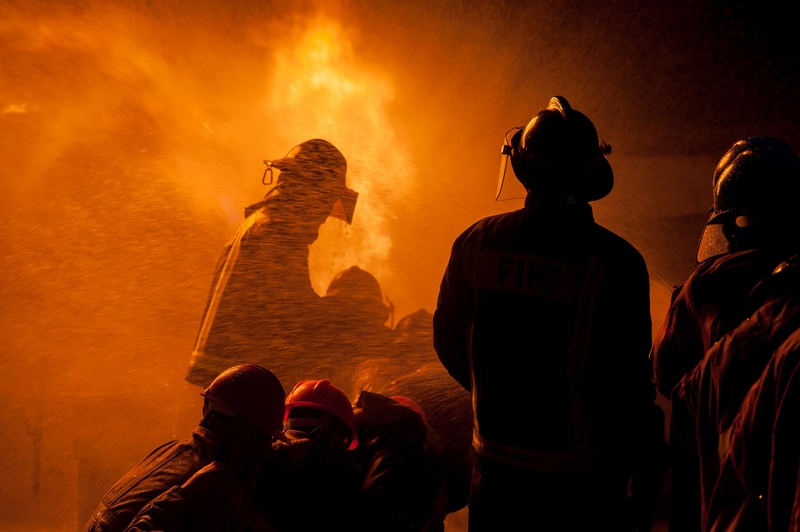 Fire resistant glass is used in the construction industry where building regulations require that buildings use it to prevent the spread of fire and provide a safe escape route and access for fire fighters. It is also used to stop radiant and conductive heat transfer so that objects on the protected side do not get hot enough to spontaneously combust. 2. Why should fire resistant glass be used in place of ordinary toughened glass? During a fire, the thermal shock that is generated by it is so powerful that typical toughened glass would not be able to withstand its force. 3. What are fire ratings? All fire resistant glass is given a specific fire rating. This is determined by the amount of time the glass can contain and withstand fire. These ratings range from a 30 minutes to 180 minutes, depending on the integrity and insulation performance. 4. What is the biggest pane size that can be used? This is all determined by the glass and framing system that will be used, which is subject to appropriate test evidence. These details can be obtained from your fire resistant glass manufacturer or supplier. 5. Can the maximum pane size be increased beyond what is tested? Only a limited increase in tested pane sizes are allowed. Again these details can be retrieved from the specific fire resistant glass manufacturer or supplier. 6. Is fire rated glass necessary if we use sprinklers? While sprinklers do have a purpose, they should not be the only fitting installed for fire protection. In the event of a fire, sprinklers may not activate properly or there could be a loss of water pressure. Fire resistant glass by comparison will perform its function no matter what. 7. Will fire resistant glass successfully tested in a single glazing test perform the same way in an IGU? Proof of performance for fire resistant glass requires appropriate test evidence. If the performance of fire resistant glass has been tested on a single glazing unit and it is proven to perform, this does not mean that the same test will suffice in an insulated glass unit. 8. Can fire resistant glass be decorated? Decorative features can be added to our Pilkington fire resistant glass if required. 9. What are the main framing systems available? There are a number of options with regards to the frames that are used. They include timber, steel and aluminium. 10. Can anyone fit this type of glass? To prolong the performance of fire resistant glass, experienced qualified fire resistant glass suppliers should fit this type of glass. Require fire resistant glass for a commercial premises? To find out more about how fire resistant glass can strengthen the fire protection strategy of a commercial premises and meet your building obligations, contact Diamond Glass today. Our expert team would be happy to answer any questions and discuss your project requirements.